← D6948 reaches a major milestone! Power unit started. 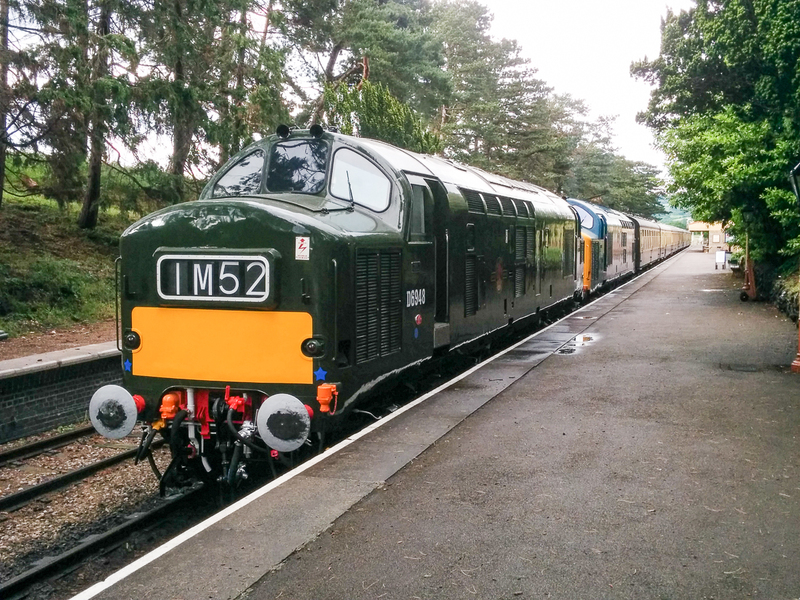 D6948 successfully completed a loaded test run on Sunday 12th June when it ran from Toddington to Cheltenham Racecourse and return with a 7 coach ECS and 37215 as insurance and deadweight. A few minor issues were encountered (as expected) but the loco performed well and all being well, is on track to make its debut in passenger service on Friday 29th July on the first day of the GWR's summer diesel gala at which the loco will be in use on all 3 days. 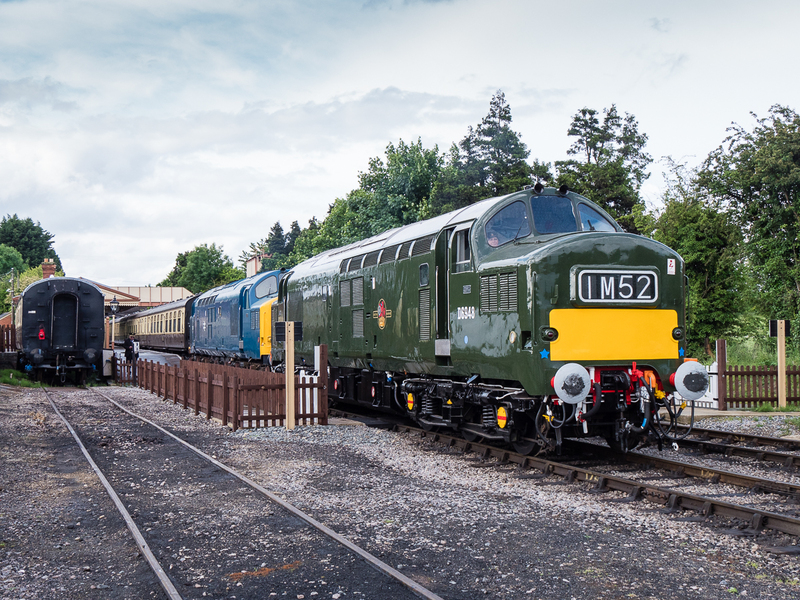 D6948 sits in the platform at Cheltenham Racecourse having successfully worked the outward leg of its loaded test run on Sunday 12th June. 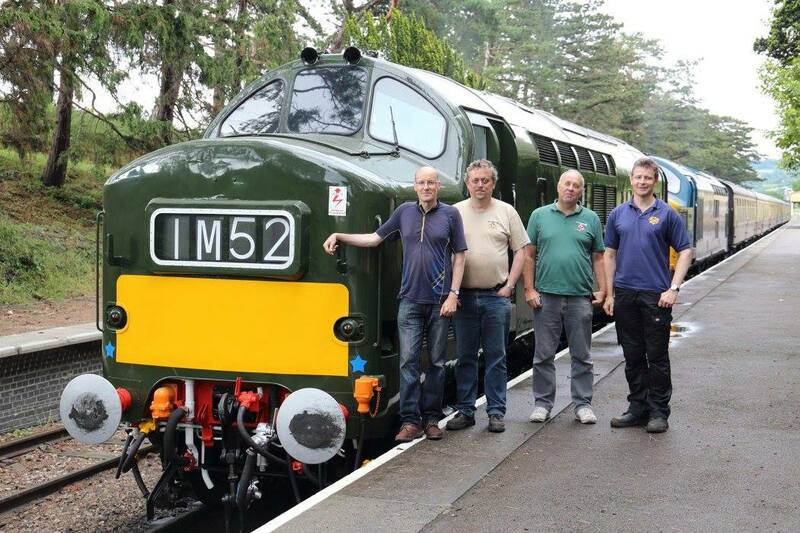 The four owners pose proudly in front of D6948 at Cheltenham Racecourse and reflect on the 5 year project following the successful first loaded test run from Toddington on Sunday 12th June. D6948 prepares to leave Toddington with its loaded test run to Cheltenham Racecourse in company with 37215 on 12th June 2016. 37215 was provided for insurance and additional weight purposes only. This entry was posted in 37248, News, Project D6948 blog. Bookmark the permalink.